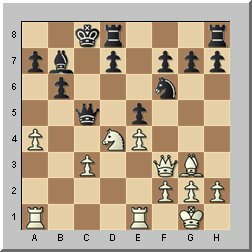 2/18/2010 – Every so often a player has a run for the ages, and this incredible series inevitably ushers in a new name to be reckoned with at the highest echelons of chess. 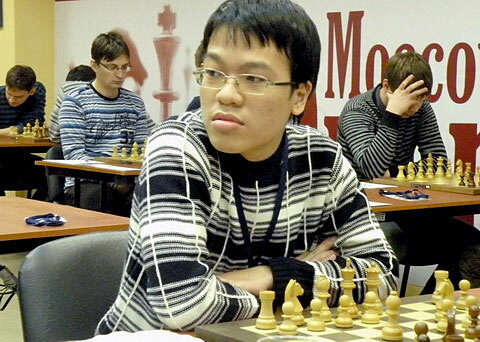 19-year-old Vietnamese GM Le Quang Liem has just had such a run, passing through the fiercest trial by fire the chess world has to offer, coming first or equal first in two super-strong Russian tournaments. Albert Silver reports. 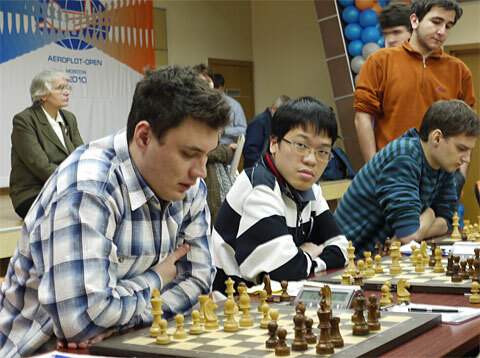 The 9th Aeroflot Open took place from February 9th to 18th, 2010, for the fifth year in succession in the tourist complex Izmailovo Hotel Gamma-Delta, where most of the participants also stayed. The prize sum was EUR 180,000, including prizes for the World Blitz Qualification Tournament. Four Open Tournaments (A1, A2, B and C) were made up according to the rating of the participants. The A1 tournament had players with a rating of 2550 or higher. Time controls: for tournament A1 and A2 it is 40 moves in 100 minutes, then 20 moves in 50 minutes, finally 15 minutes for the remaining moves, with an increment of 30 seconds per move from move one. For tournaments B and C: 90 minutes for the whole game with an increment of 30 seconds per move from move one. The Moscow Open is justifiably legendary for numerous reasons: nine rounds of brutal competition without rest, facing grizzled grandmasters and platoons of underrated masters coming from the Russian chess school, has made it one where only the strongest survive, as its prestigious list of past winners attests to. When a foreigner comes to it, the plan is more a matter of vini, vidi... I lived to tell the tale. So when nine rounds later the Vietnamese player had come through with 7.0 in 9 and a tie for first place with a near 2800 performance, he had earned rare bragging rights indeed. If that were all, it would still be plenty, but the very next day, without a single rest day in between, an even more bloodthirsty event started: the nine-round Aeroflot Open. The A Group is the chess equivalent of an open brawl at a Hell’s Angels convention. It is an exclusive 80-player “open”, with no less than 73 grandmasters all vying for the top prize, including the 2700+ French phenoms, Bacrot and Vachier-Lagrave, and notables such as Kamsky, Motylev, Bu Xiangzhi, not to mention rising stars such as the 19-year-old Russian Ian Nepomniachtchi. Just to name a few. For players participating in both events, this means 18 rounds of non-stop grueling competition, without a single rest day. 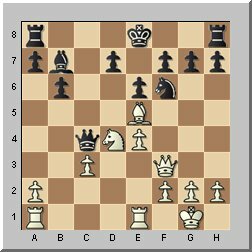 1.d4 Nf6 2.c4 e6 3.Nc3 d5 4.cxd5 exd5 5.Bg5 Be7 6.e3 0-0 7.Bd3 Nbd7 8.Nge2 Re8 9.0-0 Nf8 10.b4 Ne6 11.Bxf6 Bxf6 12.Qb3 c6 13.b5 g6 14.Rab1 Qd6 15.bxc6 bxc6 16.Qa4 Bd8 17.e4! 17...dxe4. unwisely taking and opening up the position. 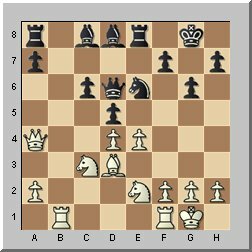 18.Nxe4 Qd7 19.Rfc1 Ng5 20.Nc5 Qd6 21.h4 Bc7 22.Ng3 Ne6 23.Nce4 Qxd4 24.Qxd4 Nxd4 25.Nf6+ Kf8 26.Nxe8 Kxe8 27.Ne2 Bf5 28.Nxd4 Bxd3 29.Rb3 Ba6 30.Rxc6 Bb6 31.Nb5 Kd7 32.Rf6 Ke7 33.Nc7 Kxf6 34.Nxa8 Bd4 35.Nc7 Be2 36.Rb7 a5 37.Nb5 Be5 38.Rb6+ Kg7 39.Rc6 Bf6 40.Nd6 Bxh4 41.Rc7 Bg5 42.Rxf7+ Kh6 43.f4 Bh4 44.Kh2 Kh5 45.g3 Bd8 46.Rxh7+ Kg4 47.Nf7 Bb6 48.Ne5+ Kf5 49.Rh6 Bd4 50.Rxg6 a4 51.Rd6 Ke4 52.Nc6 Bc5 53.Re6+ Kf3 54.f5 Kf2 55.f6 Bc4 56.Re5 Bf8 57.f7 Bd6 58.Rf5+ 1-0. 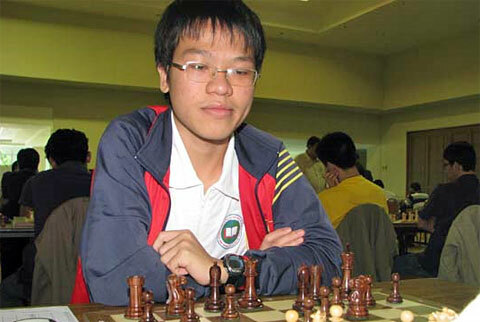 [Click to replay] After this Le Quang was able to enter the last round as co-leader with his compatriot, Nguyen Nguoc. 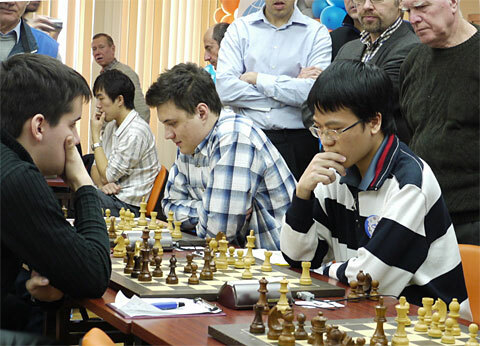 In the last round, both Vietnamese players had 6.0 in 8, followed by the 25-year-old Ukrainian Korobov, and the rising Russian star, 19-year-old Ian Nepomniachtchi. 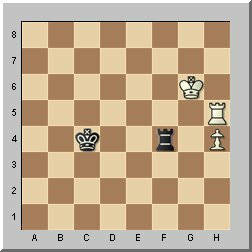 Le Quang was paired against the Russian, and given the situation, a blood battle was expected. 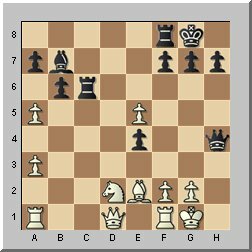 After a mere ten moves in a Symmetrical English, the databases drew a blank, though the game remained quite balanced until move 15, when Nepomniachtchi took off his gloves. 15...0-0-0. 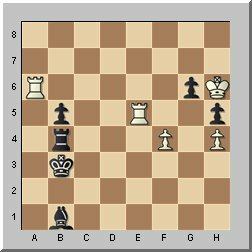 This proved to be unwise, and after 16.a4 Qc5 17.Bg3 e5? 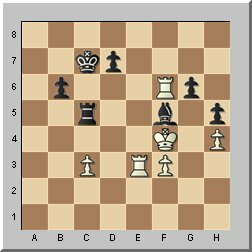 the various concessions combined with his vulnerable king made Black’s position fatally weak. On the other hand, Le's his compatriot was less fortunate, and Korobov took advantage of several errors to win clear second. Le Quang’s performance of 2870, not to mention his classy last round win, make it clear that not only will he be the first player from his country to break the 2700 barrier, but that this 19-year-old is a star on the ascension. Winning both the Moscow Open and the Aeroflot Open, 18 non-stop rounds against the fearsome Russian school, on their own turf? That’s a story his grandchildren will be bragging about. A selection of games are being broadcast live on the official web site and on the chess server Playchess.com. If you are not a member you can download the free PGN reader ChessBase Light, which gives you immediate access. You can also use the program to read, replay and analyse PGN games. New and enhanced: CB Light 2009!